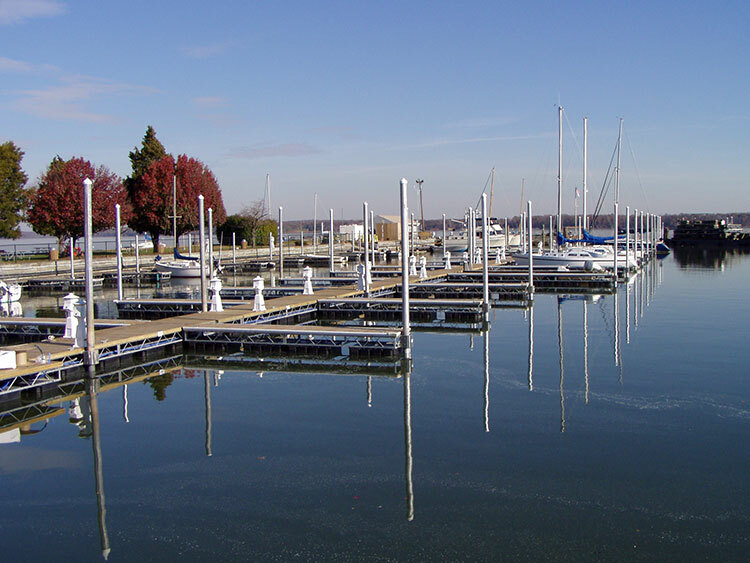 Project Description: Located beyond the Town of Quantico at the east end of Potomac Avenue in Building 25. 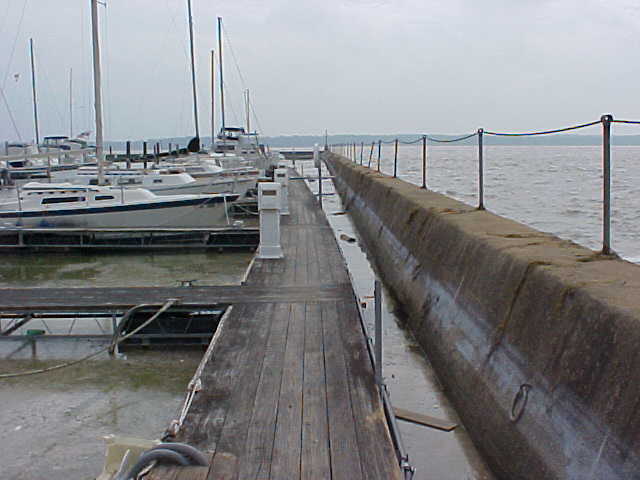 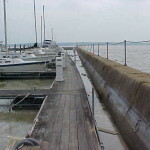 The Marina has over 100 slips for boats up to 40 feet in length, most with electric and water hookups. 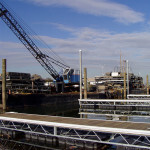 Crofton partnered with engineering and prime to redesign the existing floating docks to maximize berth space. 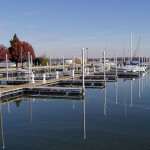 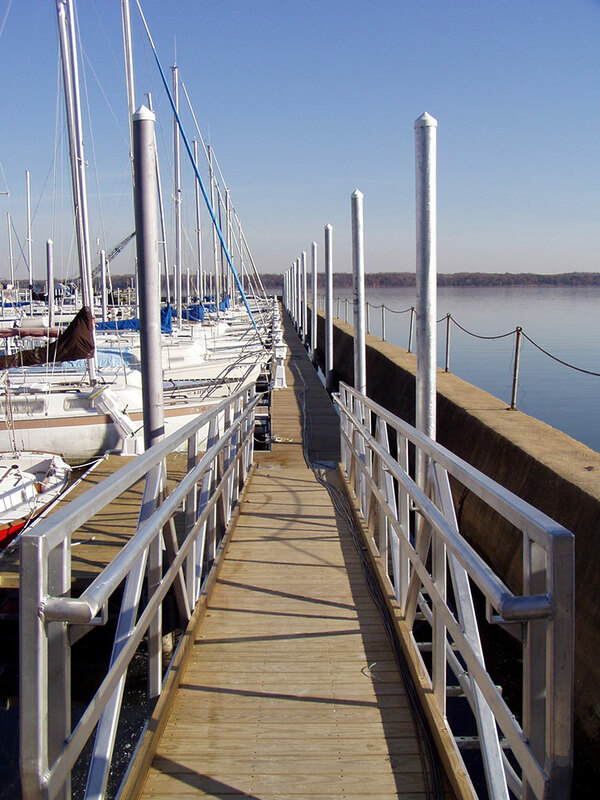 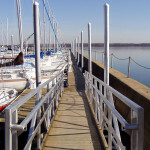 Upon design completion Crofton and team installed the new 101 slip floating dock marina. 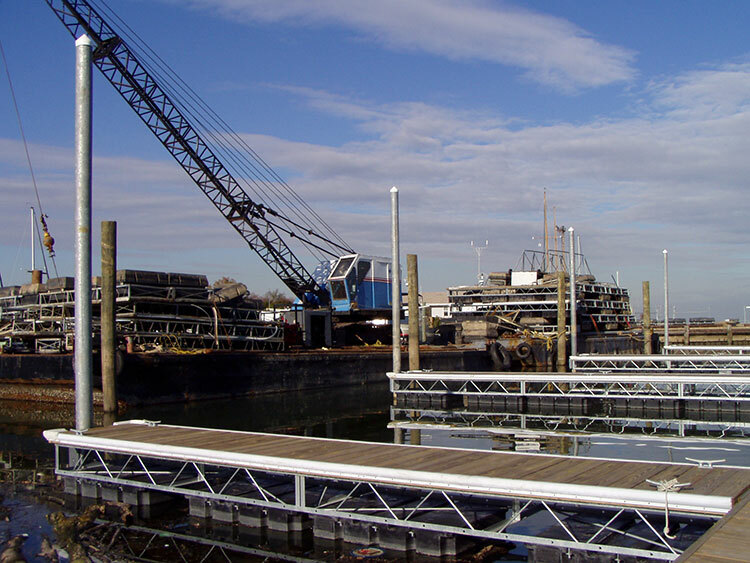 Work was performed by floating crane barge, which included heavy lift operations, steel pipe piles and timber mooring pile installation, access gangways and the installation of the floating dock system.